Having advised thousands of Medicare beneficiaries in Illinois and Wisconsin, especially in the Stateline area – we get frequently asked Medicare questions that are common to eligible seniors. Click on a topic below to reveal answers. 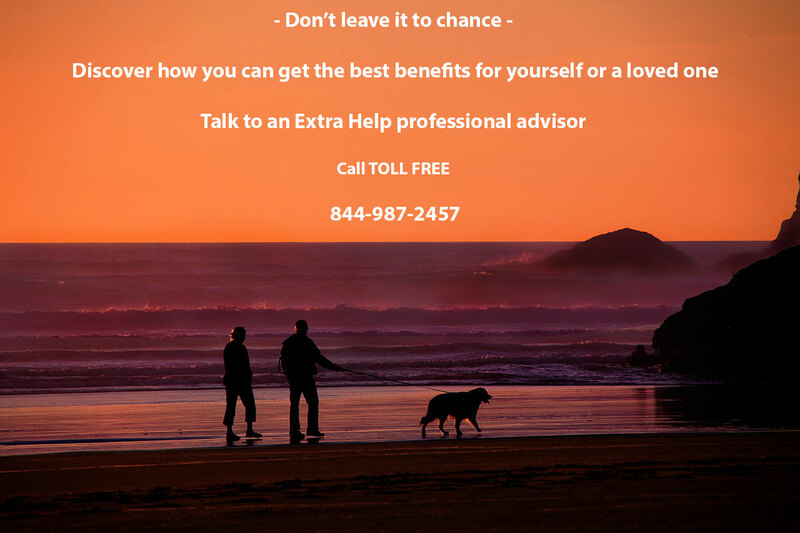 Our professional Extra Help advisors assist Medicare beneficiaries in the Stateline area with all their Medicare requirements at no cost or obligation. Simply call our toll-free number (844) 987-2457, or leave us a message on our Contact Us page and we will contact you. We know that understanding Medicare can be very confusing! We have have helped thousand of seniors in northern Illinois and southern Wisconsin with their requirements. Is there a cost for your service? There is NO COST or any obligation by using our services. We advise and discuss your Medicare options free-of-charge! Do I have to apply for Medicare or do I get it automatically? If you are already collecting some form of Social Security (either retirement benefits or disability benefits) when you become eligible for Medicare, you will be automatically enrolled in both Part A and Part B. You become eligible for Medicare when you turn 65 or have been collecting Social Security Disability for 24 months. If you are not collecting Social Security when you become eligible for Medicare, you must enroll through Social Security. You can do this online, over the phone or in person at your local Social Security office. Call 800-772-1213 to sign up for Parts A and B of Medicare or to find the location of your local Social Security office. If you want Medicare Part D prescription drug coverage, you must actively enroll in it yourself. This is true whether you are automatically enrolled in Medicare or you have enrolled yourself. Keep in mind that people with Lou Gehrig’s disease (ALS) or End-Stage Renal Disease (ESRD) do not have to collect Social Security Disability benefits for 24 months to qualify for Medicare. Do I have to pay for Medicare? Part A is free if you or your spouse has worked and paid taxes to Medicare for at least 40 quarters (10 years). If you do not have enough working quarters, you will have to pay a premium for Part A. Part B always has monthly premium. If you have a Medigap or Part D plan you may have pay a monthly premium for these as well. Keep in mind that Medicare Advantage (MA) plans have different costs than Original Medicare. If you have a low income, you may qualify for programs that can help pay your Medicare premiums and other costs. Do I need both Parts A and B? Whether you need Medicare Part A and Part B depends on whether Medicare will be your primary or secondary insurer. Part A is hospital insurance and Part B is medical insurance. If your current employer insurance is primary, you do not need either Part A or Part B. However, most people choose to take Part A because it is free for them. If your Medicare is primary because, for example, you have retiree insurance or COBRA coverage you need both Part A and Part B. When can I apply for Medicare? You can apply for Medicare during your Initial Enrollment Period (IEP). The IEP is the seven months surrounding your 65th birthday. It includes the three months before you turn 65, the month you turn 65, and the three months after. If you have current employer insurance, you can also sign up while you are still working and for up to eight months after you stop working or you lose your coverage. This is window of time is called the Part B Special Enrollment Period (SEP). If you do not enroll during these times, you can enroll during the General Enrollment Period (GEP), which is January 1 through March 31 of every year. Your coverage will start July 1 of the year you enroll. You may face a late enrollment penalty if you were eligible for Part B before you enrolled during the GEP. If you have been receiving Social Security Disability Insurance (SSDI) for 24 months, then you are automatically enrolled in Medicare in the 25th month you receive SSDI. Do I receive a notice about Medicare when I turn 65? If you are already receiving Social Security benefits, you will get information about Medicare in the mail three months before you turn 65. If you are not receiving Social Security benefits, you must actively enroll in Medicare yourself by contacting your local Social Security office. You will not receive a notice in the mail letting you know that you are eligible for Medicare. If I wait to take Part B, will I face a penalty? You will have to pay a monthly Part B late enrollment penalty if you do not sign up for Part B when you first become eligible for Medicare or during a Special Enrollment Period (SEP). If you do have insurance from a current employer, you must enroll within eight months of retiring or losing coverage, or you will have to pay a penalty. Will money be taken out of my Social Security check for Medicare? Part A is free for most people. You only have to pay a premium for Part A if you or your spouse have not worked and contributed to Social Security for 40 work quarters (10 years). Most people pay a monthly premium for Part B. You can either write a check to Social Security or have the Part B premium automatically taken out of your Social Security check. If you have a Medicare Savings Program (MSP) that pays your Part B premium, your state pays the premium and it should not be deducted from your Social Security check. How do I pay for Medicare if it is not automatically taken out of my Social Security check? If your Part B premium is not automatically taken out of your Social Security check, you can mail a check to your local Social Security office. However, it is a good idea to have your Part B premium taken out of your Social Security check automatically. I’m thinking of not taking Part B. Who do I need to talk to? Before making any decisions about enrolling in or opting out of Part B, talk to the Social Security Administration. You may not have any medical coverage if you do not have other primary insurance. If you do have another form of health insurance, contact the plan’s benefits administrator to find out how that plan works with Medicare. Then, contact Social Security to confirm the plan’s guidance. Make sure keep detailed notes of who you spoke with, when, and what they told you. My income is low. Are there programs that can help me afford my Medicare premiums? Yes. Every state has Medicare Savings Programs (MSPs) that can help pay your Part B premium. A Medicare Savings Program may also pay Medicare copays and deductibles. You can also see if you are eligible for Extra Help. Extra Help is a federal program that can help pay your Part D prescription drug costs. Is there additional insurance I can buy to pay for the deductibles and coinsurance that Medicare does not pay for? Yes. Medicare Supplement Insurance, also called Medigaps, can help pay for your Medicare copays and deductibles. Medigap policies only work with Original Medicare. You can only buy Medigap policies at certain times in some states. Check with your state insurance department to find out when you have the right to buy a Medigap plan. I’m 65, but my spouse is 60. Can my spouse get Medicare, too? or have ALS (Lou Gehrig’s disease). I’m 63 and I just lost my job. Can I get Medicare early? Unlike Social Security retirement benefits, you cannot take Medicare early. Unless you have been receiving Social Security Disability Insurance benefits (SSDI) for 24 months or have ESRD or ALS, you must wait until you are 65 to receive Medicare.